When we eat real, whole foods that are natural, nutritious and healthy, we support every single system in our body down to the deep cellular level. With proper nourishment, we can help enable our body to heal itself, resist disease and degeneration. This principle works the same with pets. Long time ago, pets used to get a healthy and balanced diet naturally. People were not feeding kibble because pet food as we know it today, was not available in the “old days”. Pets would either roam freely, or were fed scraps from the butcher or the dinner table. My Dad has talked about it many times that his family had several large dogs when he was growing up. They were either fed table scraps, or his Mom would prepare a stew especially for the dogs. Ailments in pets as they are known today, like dog diarrhea and other digestive issues, allergies and skin problems, liver and kidney disease, auto-immune disorders and even cancer, all were basically unheard of during those times when my Dad was growing up. He says all their dogs lived well into their 20’s. 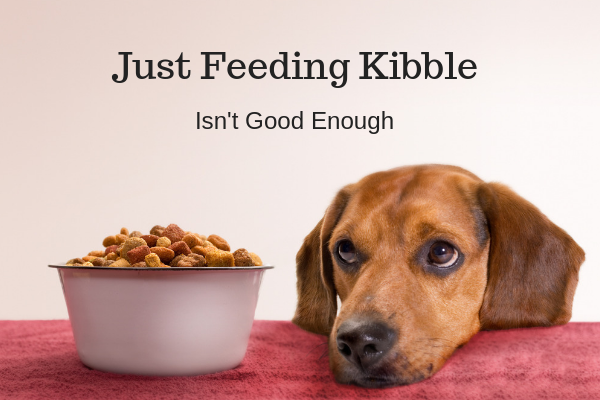 How healthy can a dog be when feeding kibble as the primary diet? Today, most dogs are fed commercial pet food. The most popular dog food is kibble, which is the most highly processed form of commercial pet food. Sadly, pet food manufacturers spend more money on packaging and marketing than on quality ingredients to support our pets’ health. While more pet owners are starting to realize the importance of a more natural diet for their dogs, most still assume they are getting everything they need with the store-bought food. After all, that’s what it says on the package; the food is healthy, complete and balanced. However, that is far from the truth. Most commercial pet foods on the market today do little more than sustain life. That might sound like a bit of a harsh statement, but let’s face it, this is not any different than people consuming mostly, or exclusively processed foods, fast foods. Are we compromising our health for convenience? With today’s busy lifestyle, and continuous desire for more convenience, not many people prepare wholesome meals for themselves. Most foods consumed are far from their natural state. Whether we are talking about packaged foods from the grocery store or from a fast food restaurant, those foods are loaded with carbohydrates, salts and sugars. Believe it or not, many have added artificial flavor enhancers that make you crave more, not to mention the high amounts of calories. Look around you, most people don’t do very well on such a diet, at least not in the long term. It is easy to make the connection between junk food and common human health problems. We can clearly make the same connection between commercial pet foods, which is essentially junk food, and common health issues in pets. If we want our pets to thrive and prevent common ailments and degenerative diseases in the first place, we must stay as close to nature as possible. I am astonished by how many new technologies are invented and how many new pet products surface every year, all claiming to solve every ailment in pets. Most consumers are intrigued by anything “New” and often search out the newest products on the market to solve their pets’ problems. Quite honestly, I don’t understand that. New doesn’t necessarily mean better. The product may be in a cool new packaging with catchy slogans, but new products are not proven and have no track record. You need to be careful who you put your trust in when it comes to the health of your pets. You can always trust Mother Nature! Mother Nature grows the best foods and makes the best materials to nourish our bodies and to heal our bodies, and those foods are meant to be consumed as close to their natural state as possible. All that changed when I came to live in the United States many years ago. I quickly found myself in a fast-paced lifestyle with many new opportunities. I was always on the go and quickly adapted to the fast way of eating for convenience, like so many Americans do. Granted, things have changed in Germany over time as well, but the quality of their foods is by far better than the quality of the foods available here in the United States. The way I look at it, I went from one extreme to another, and over time, my health slowly started to deteriorate. I ended up with an autoimmune disease that compromised my thyroid health and brain function. I wanted to prove to others and myself that there are ways to let our body heal naturally. With the help of an alternative doctor I achieved remission just by changing my diet and with natural supplements. While it took close to a year to achieve remission, it was amazing how much better I felt already after just 2 weeks of eating the right foods, whole foods that provide proper nutrition and support gut health. 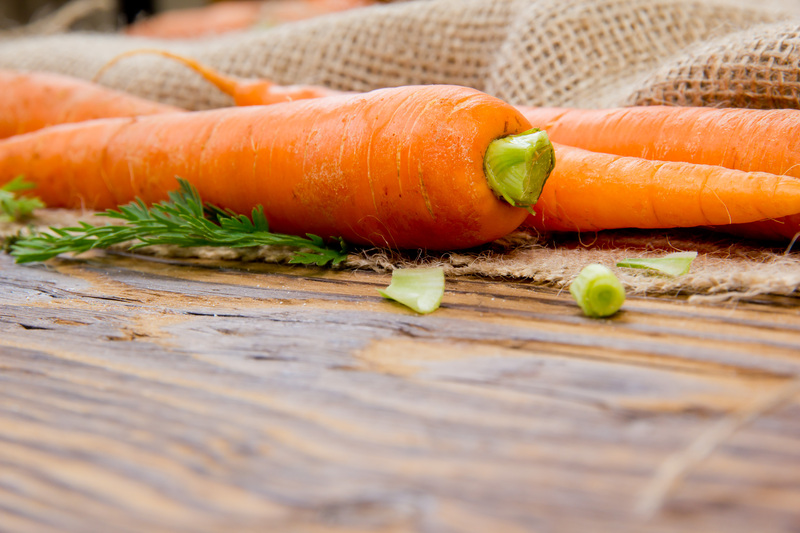 Eating the wrong foods made me sick, but eating the right foods helped my body heal itself. This experience has changed my life. You can read the full story here. When I had my first set of dogs after I came to the United States, I was not educated about pet food, and I thought it was okay to pick up dog food at the grocery store where I shopped regularly. I was feeding kibble and canned food. Both dogs had their share of health problems and died before they reached age 12. Badger, a German Shepherd and Waldi, a standard short hair Dachshund. Both had digestive issues, and especially Waldi struggled with recurring colitis during his last years. If I would have had the knowledge back then that I have today, and if we had known about Olewo, I am convinced they could have lived longer. My goal was to do much better with the next dogs, and I was hoping to see for myself that good nutrition really can make a difference. We adopted Wilma, a Black Lab mix, with lots of issues just under the age of 1. Then we got 2 Dachshunds from a breeder just under 8 weeks old, Trudy and Gerry. The best advice I ever received from a Vet was to feed a variety of foods to my dogs. Some raw, some home-cooked, and always keep a little quality commercial dog food in the mix. And of course, Olewo Carrots and Olewo Red Beets are always part of their meals. The dogs love eating a lot of different foods and they are thriving. Trudy and Gerry are 10 years old now. We lost Wilma last year, but she made it to over 16 years of age, and I know it is not common for a Black Lab Mix to live that long. It really matters what you feed your pets, and it will make a difference with their health and longevity!